SMA-BAND Review : The best Fitness Band at Affordable cost ? 1 SMA-BAND Review : The best Fitness Band at Affordable cost ? 1.1 SMA-BAND Smartband Review : The best Fitness Tracker band Below 50$ 2016 . Now a days many new companies are coming in the gadgets market and providing Many new modern gadgets like Bluetooth speakers , Usb Fan , Usb light . Along with the smartphones there is also a emerging market of Smartwatches and Fitness Trackers often known as fitness bands . 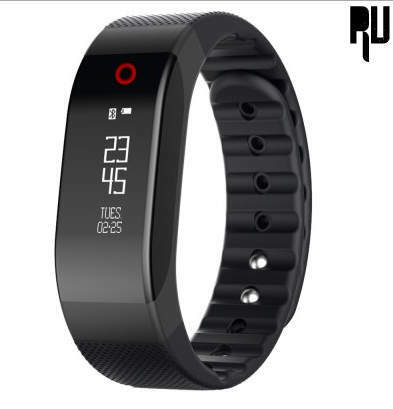 So for those who are Planning to buy a new smartband and confused which smartband is the best .Gone through a lot of different review and still not sure which one to buy.Then you are at the right place today in this post will tell you about the best smartband available in the market plus the best budget smartband available . SMA-BAND Smartband Review : The best Fitness Tracker band Below 50$ 2016 . So lets start with the review of the best smartband which is none other than SMA-BAND smartband. SMA-BAND smartband comes with dozen of features at at a very affordable price. SMA-BAND is just priced at 30 $ and it is available in two different color which is Black and Red. SMA-BAND support bluetooth 4.0 which is pretty compatible with all the smartphones,tablets and many more devices. SMA-BAND smartband can be used to unlock your device without even entering your password. SMA-BAND is a boon for health lovers as it can be used to track the amount of calories and even the steps and SMA-BAND smartband also keep a record of your sleep. SMA-BAND comes with a Chipset which makes it a powerful device , Coming to the software it can be used with Android 4.4 To android 6.0 and and not only android but it can also be paired with Apple IOS 7.0 and above system. Trick to Buy LeEco Le 2 From Flash sale . SMA-BAND smartband is powered with a 90 mah battery which takes about 30min to charge an it may last about 5 hours which is quite impressive. so this was our review of best smartband SMA-BAND and we hope you liked our review of SMA-BAND smartband.